All posts and content on EcoEquine are the opinion and preference of the author. The author will disclose if any compensation is exchanged for a product or service review. Content on this blog will reflect the experience of the author. The author does not recommend that the farm sustainability measures discussed and methods explained should be implemented without consulting professionals with expertise in these subjects and without the consideration of your farm’s unique characteristics. About 90-95% of content on the EcoEquine blog and site is free. I will listen to customers ideas and review products that meet both my customer needs and my standards. If you would like to arrange a product review or advertise on this site please contact me. My blog gets an average of 10,000 views per day. My Facebook pages have over 40,000 fans and my Instagram , Pinterest and Twitter accounts have 5,000+ followers. 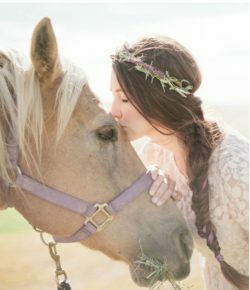 All images used on the EcoEquine blog are the property of Happy Horse Healthy Planet and Horse Hippie unless purchased from a photo sharing site, or found on a public site such as Pinterest and Facebook. I take care to never remove a photography watermark, but many photos on the web do not have any visible ownership. If anyone objects to the use of their pictures from these public sites for this blog, please contact me and I will remove it. The content of this blog and all other images copyright © 2013-2018 Happy Horse Healthy Planet and/or Horse Hippie. Written consent from me, Laura Stopper Battts must be obtained before pictures or content can be copied.